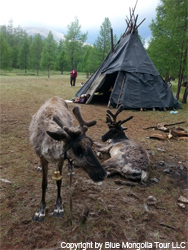 Every year in 28-30,June Reindeer Festival is held by tepee people, who lives in tent in high mountains and take care for herds of reindeers and believe in shamanism. Festival is held always on the shore ofKhuvsgul lake. 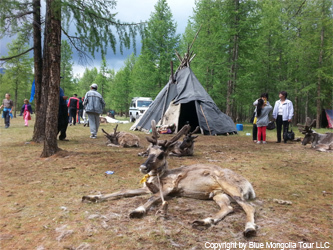 Festival is enriched with lots of acts such as concert of Darhad folklore songs, marching of reindeer herds, fire worshipping festival, shaman rituals, display about tepee people and their reindeer herd.